A vacation rental in the state of Washington is the perfect place to spend your next retreat away from home. You can enjoy the natural beauty in your rental villa, condo or house on your next vacation in Washington. Looking to enjoy a week of fun in the water fishing, kayaking or sailing, you need to check out the San Juan Islands. You can also enjoy the sightings of the local orca and minke whales. This area is the perfect destination for outdoor enthusiasts. There is another island in Washington called Whidbey Island many tourists visit annually. This island is ideal for individuals looking to relax and enjoy themselves in this scenic area. You can explore the small towns and beautiful views throughout the island. Whidbey is a destination that receives 50% less rain than Seattle, making it perfect to retreat at anytime during the year. You can enjoy a day at one of the 5 state parks such as Deception Pass, relaxing on the beaches or hiking the miles of trails. Nature enthusiasts can enjoy areas likeMt. Baker Glacier,Mount St. Helen, Mount Rainer and North Cascades National Park. You can observe the amazing views from your vacation rental, along with other outdoor activies such as, hiking, skiing and watching the wildlife. Seatlle provides tourists amazing views of Puget Sound and Mount Rainer. While visiting Seatlle you will stay busy shopping, dining and enjoying the nightlife. Hells Caynon located in the southeastern part of Washington has an average depth of 5,500 feet. This is the home to the deepest river gorge found in North America. Tourists who like to take scenic drives need to check out the Columbia River Gorge Scenic Byway, on the Washington-Oregon border and Cascade Loop Scenic Highway, which includes 440 miles of beutiful countryside. As you can see the state of Washington offers a diversity of opportunities to enjoy a wonderful vacation. Wanting to book your next vacation soon? 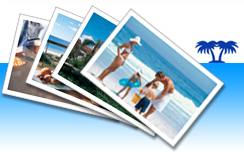 You can do it right here at www.ivacationonline.com in just a matter of minutes using ourvacation rental management software.Just select your unit of choice that is available and your next dream vacation rental can be booked direct by owner in no time at all!